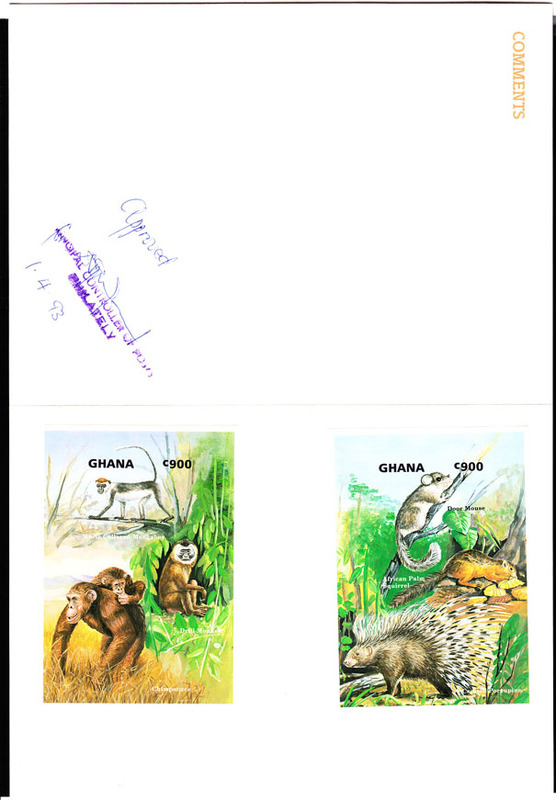 5792 EP GHANA (1977) Ebien palm squirrel (Epixerus ebii))*. 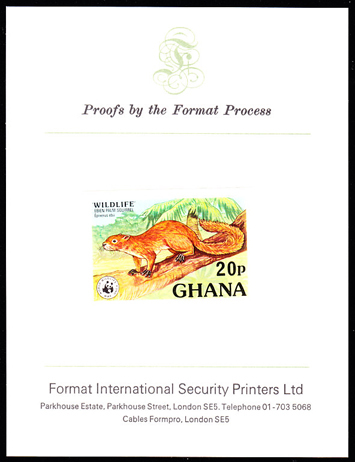 Imperforate proof mounted on card from Format Security Printers. Scott No 622, Yvert No 590. 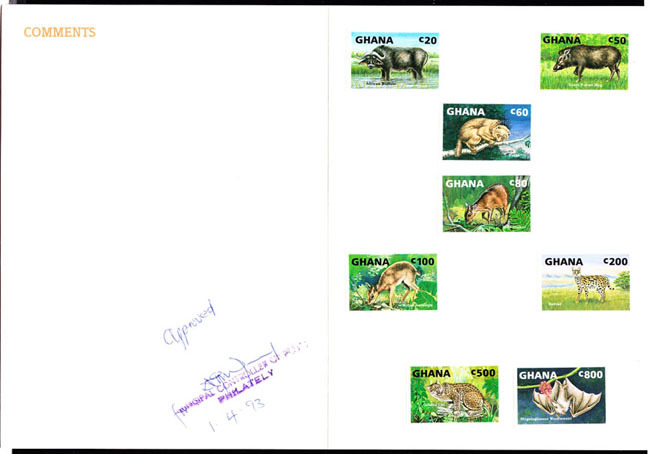 5793 EP GHANA (1977) African wild dog (Lycaon pictus)*. 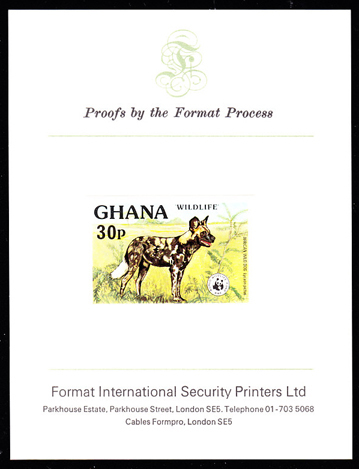 Imperforate proof mounted on card from Format Security Printers. Scott No 623, Yvert No 591. 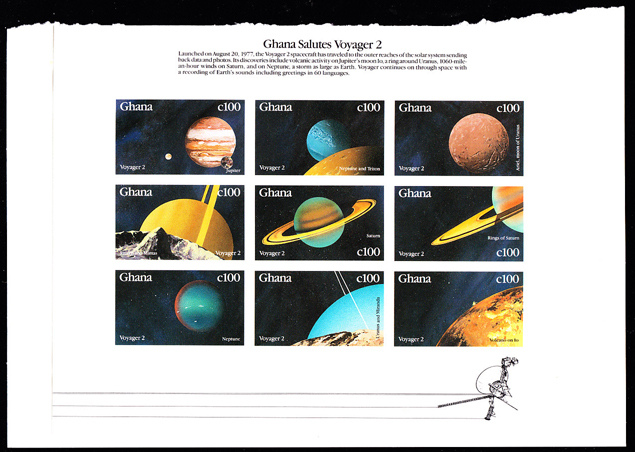 5306 EP GHANA (1990) Planets. Voyager 2. Imperforate proof of minisheet of 9 mounted on card. Scott No 1226, Yvert Nos 1145-53. 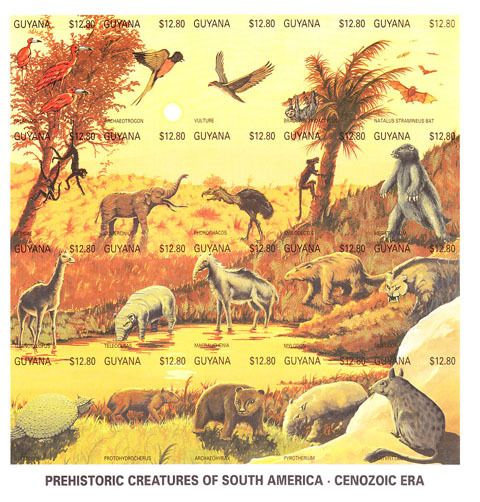 16895 EP GHANA (1990) Prehistoric animals of South America in the Cenozoic Era. Imperforate minisheet of 20 mounted in BDT International Security Printer folder. Scott No 2378. 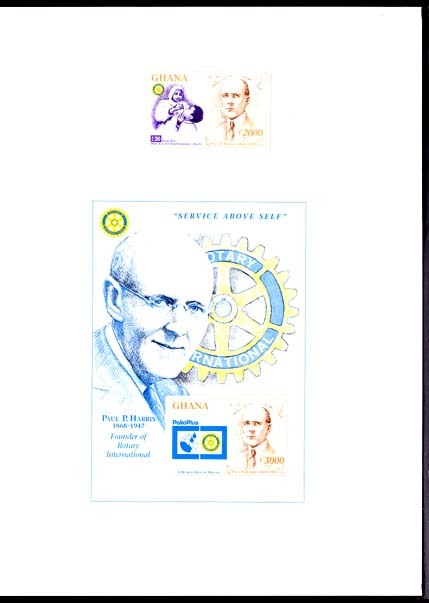 2233 EP GHANA (1997) Paul Harris*. Administrating polio vaccine*. Imperforate proof of stamp and S/S mounted in House of Questa folder. Scott Nos 1936-7. Only a few exist.